Perfect your paint with Griot's Garage BOSS Perfecting Cream! Griot's Garage Perfecting Cream lives up to its name by being the perfect blend of abrasives and polishing oils, effectively removing fine paint defects and enhancing the gloss of your finish all in one step! The sub-micron abrasives featured in the Griot's Garage Perfecting Cream are responsible for the LSP ready finish achieved after polishing on one panel. Especially when using on paint that is only slightly defected, this product may be the only step you'll need to achieve the shine you've been looking for. Griot's Garage Perfecting Cream can be used following the Griot's Garage Fast Correcting Cream as part of the BOSS System. As it contains no fillers or silicone agents, the finish you see after using this product is genuine and you won't be surprised by hidden swirls after the first wash.
Griot's Garage is recommended for use with the BOSS System Yellow Foam Perfecting Pad to deliver the “Best of Show” finish. Awesome product, easy to use along with the rest of the BOSS line of polishes & compounds, smells fantastic, serves as a good product to use when you only need to take out minor imperfections or are looking to enhance the paint a bit before applying protection. Works great! removes swirls after the first wash.
Easy on/off with no dusting and killer results. If you are starting out and looking for a line of products, I feel confident recommending all of Girot's stuff. 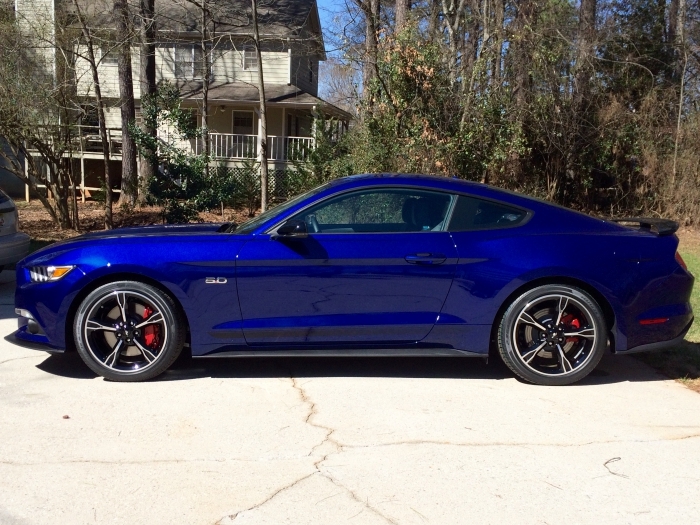 BOSS Perfecting Cream, used with my random DA buffer produced a flawless, glass like finish on the dark metallic blue paint of my 2016 Mustang. The shine is breath taking, as are both the depth of color and the level of reflectivity. I competed the job with BOSS FINISHING SEALANT and the car is now ready for competiton or drivng around town to watch the heads turn. 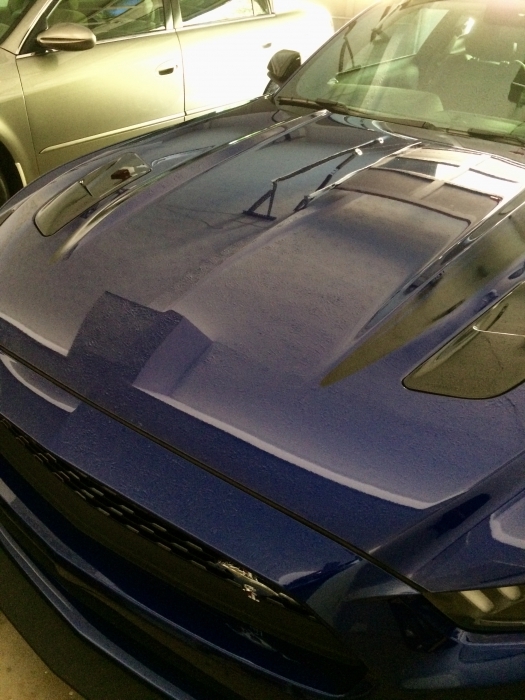 I have attached a photo of my Mustang to show the incredible level of reflectivity created by the BOSS System. You can clearly see the structure of the garage door opener, and the stippling on the ceiling of my garage in the reflection on the hood.